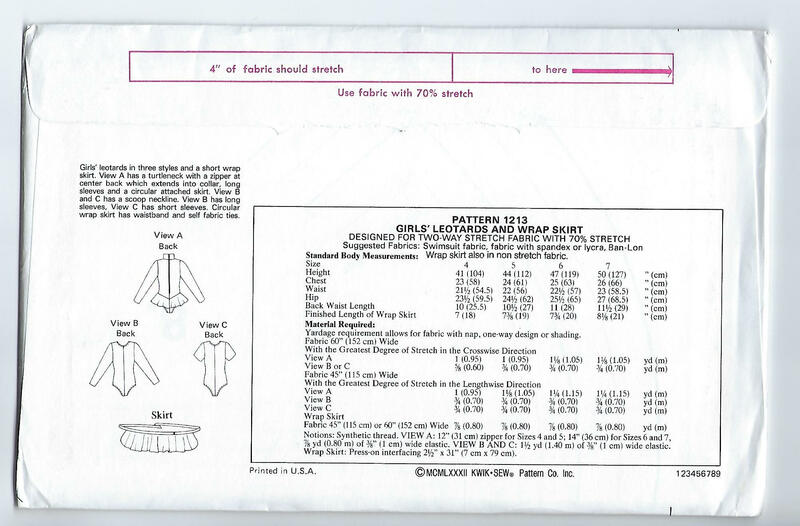 Package contains patterns and instructions to make GIRLS Leotards in three styles and a short wrap skirt. View A has a turtleneck with a zipper at center back which extends into collar, long sleeves and a circular attached skirt. 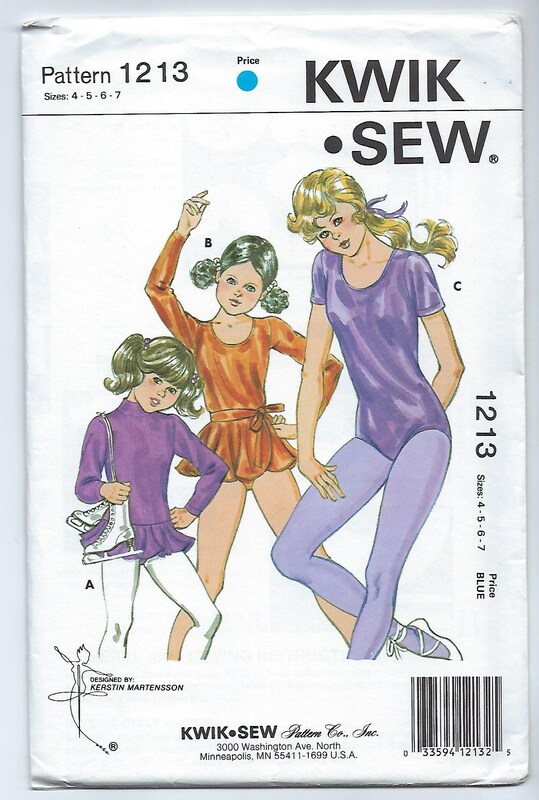 View B and C has a scoop neckline. View B has long sleeves. View C has short sleeves. Circular wrap skirt has waistband and self-fabric ties. For Two Way Stretch Fabric with 70% Stretch. Designed by Kerstin Martensson.